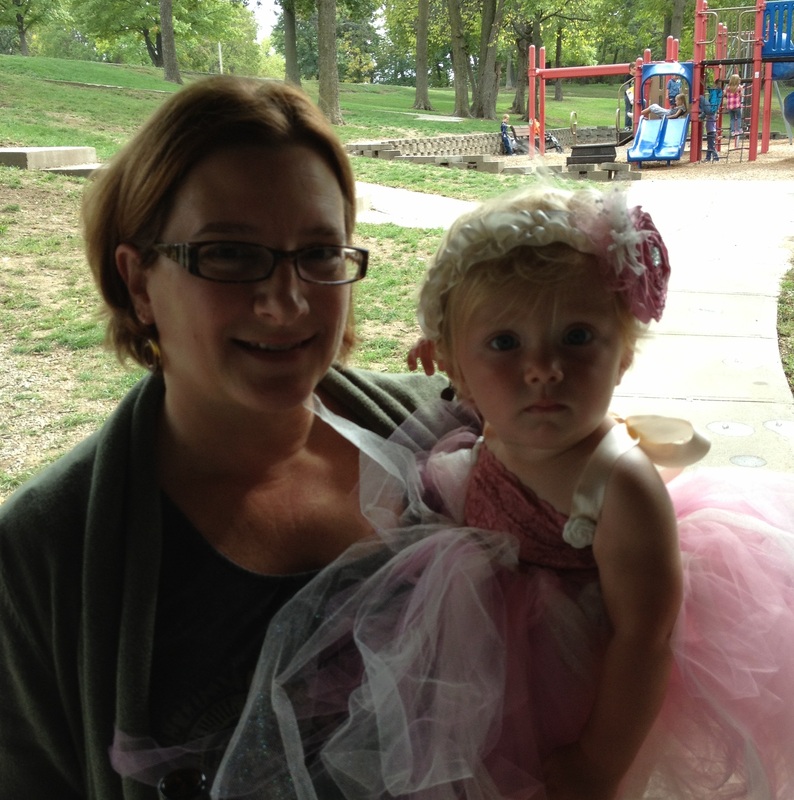 Two of my grandkids just had birthdays. Yea! Cutie Patootie #3 turned 1 and the little Chunky Monkey turned 2 within a few days of each other. My daughter planned a creative double-party for the kids, with one side being decorated for Cora and the other for Corbin. 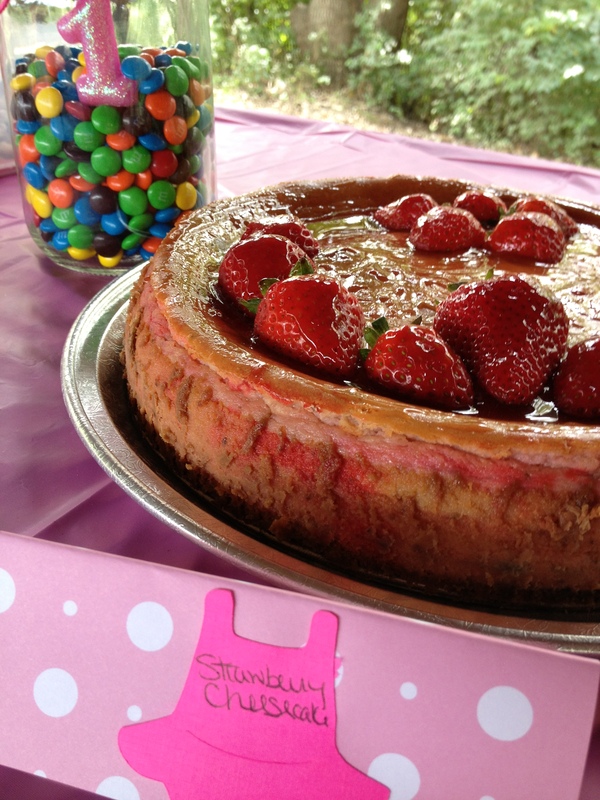 She asked for a pink cheesecake for Cora’s table, and I had the perfect strawberry cheesecake recipe for it! Click for recipe. Only part of this got eaten at the party, which wasn’t a problem, because it kept nicely in the refrigerator for the second party a couple of days later. Cutie Patootie #1, who is 6 and was very busy at the party, slowed down long enough to taste it for me and declared it “OK.” Her mother, who has eaten my cheesecakes for years, said it was delicious. I liked it but it was a bit more subtly flavored than I’d like. Then again, I had a piece less than 24 hours after it was baked, so the flavor might have intensified a bit with time. If you want a really intense strawberry flavor, top it with more strawberries or spread a high-quality strawberry jam on the top of the cheesecake before you serve it. I got this recipe from Junior’s Cheesecake Cookbook, a collection of 50 recipes from the owners of Junior’s restaurant in New York. I love cheesecake, so when this cookbook came out, I added it to my collection. I had never used cornstarch in a cheesecake until I made this recipe. I think it helps balance all the liquid from the whipping cream and the berries in the recipe; at least I assume that’s the purpose of it. It also may be the reason this cheesecake sliced up so beautifully. None of my other cheesecake recipes have ever sliced so cleanly! If you need a dessert for a pink-themed party, this is it! If you just want a good cheesecake with the strawberries built-in, this is also it! Eat up!